How do you build your skills as a pilot without putting yourself and others at unnecessary risk? First accept your limits and then train and practice to expand them, says contributor and flight instructor Thomas P. Turner. Some commentators have written about going outside your comfort zone as a pilot in order to build your skills. There would seem to be hazards and perverse incentives in the idea of intentionally flying outside the conditions in which you feel you can confidently determine a safe outcome. It’s a difficult concept for someone concerned with ensuring the safety of flight to endorse. There’s got to be a better way to grow in skill and confidence as a pilot without exposing yourself and your passengers to unacceptable risk. If we’re going to go somewhere outside a box that represents your comfort zone, first we need to define the edges of that box, so we can tell what ‘outside’ means, including what is a ‘little’ outside your comfort zone and what is a ‘lot’. A common name for the edges of that box is ‘personal minimums’, more correctly ‘personal limits’ because they are minimums some times while at other times they are maximums. These edges of your comfort zone define what you might call your personal envelope. Let’s begin by defining the edges of your personal envelope. To do so we have to ask—and answer—several questions. Personal limits are guidelines you set for yourself that define the worst conditions you will accept for flight. These limits represent the range of conditions in which you are confident you can fly while preserving a margin of safety. maximum duty day (‘alarm clock to engine shutdown’) length. The list can go on. It’s entirely up to you as pilot in command. Aviation regulations, of course, provide worst-case limits … at least for some conditions. Ceiling and visibility minimums are precisely defined for VFR operations. Approach minimums are set for IFR flights. Aircraft maximum weight is established by the airframe manufacturer or as modified under a Supplemental Type Certificate (STC). In other cases, the manufacturer may publish recommended limits, but no regulatory limitation exists. The maximum demonstrated crosswind component is a good example. It is the maximum crosswind that was demonstrated to be controllable during the aircraft certification process, but it is not a physical limitation on the aircraft’s control authority. You’re free to attempt take-off or landing in higher crosswinds, and if you are skilled you may even be able to make it work—up to some point. In yet more scenarios there is nothing in the literature to help you decide. For example, most Pilot’s Operating Handbooks (POHs) and Aeroplane Flight Manuals (AFMs) provide performance charts for take-off and landing over 15-metre-tall (50 foot) obstacles. What if the tree off the end of the runway is 20 metres tall? Some POHs/AFMs give runway distance information assuming a paved, dry, level runway surface. If they provide any guidance for other runway types it assumes closely cut grass or firmly compacted unsealed surfaces. There’s nothing to help you determine take-off performance through thick grass or loose gravel, or if a paved runway is contaminated with standing puddles of water. It’s up to you to manage those risks on your own. You might adopt the regulatory limitations where they exist as your own personal minimums. Or you might limit yourself to more conservative conditions than the regulations allow. You need to firmly establish limits for yourself where there are no strict ‘do not cross’ lines and/or no data in the POH or AFM. Why might you want to do so? This brings us to the second question. Why are personal limits important? First, to provide yourself a known range of limitations that are all within the regulatory limits and your current ability to fly the aircraft, with a solid buffer between the limits of your abilities and the conditions you’ll encounter. Second, to document these safety-of-flight decisions you make when you’ve had time to contemplate, to make performance calculations, and evaluate your current abilities and those of your aircraft when you are not under stress and pressure to complete a flight, so you don’t have to try to make these hard choices when you are under stress and a ‘go’ mentality and instead can act on your earlier, well-reasoned decisions. If you make a safety decision in the low-pressure environment of your home or office, it becomes far easier to live by that decision when you are flying home with the family at the end of a holiday with work and school the next morning, and the crosswind is just a little stronger than your personal limit. Knowing that you put time and thought into establishing your personal limits helps you fight the temptation to ‘give it a go’ that would likely prevail if you had not set a reality-based personal crosswind limit (it will probably help you explain your decision to divert to your family as well). This drives our third question. How do you set personal limits? Setting up your personal limits will probably begin somewhat arbitrarily. Not flown a lot of instrument procedures lately? Establish that you won’t take-off into a low ceiling or less than visual meteorological conditions (VMC) visibility. Or define that you’ll accept low ceilings with VMC visibility, or VMC ceilings with instrument meteorological conditions (IMC) visibility, but not IMC ceiling and visibility both at the same time. Have you not landed the aeroplane you’re flying in a strong crosswind for some time? Set a personal limit at half the aeroplane’s maximum demonstrated crosswind component, for example no more than seven knots crosswind if the POH/AFM states the maximum demonstrated value is 15 knots. Flying into an aerodrome you’ve never flown that aircraft into before? Do so only if the runway is at least 150 per cent of the distance required for take-off or landing over a 15 metre/50-foot obstacle, whichever is longer. Operating out of a short runway on a warm day? Only if you have 150 per cent of the obstacle distance as described above at the aeroplane’s maximum gross weight … and then limit the aeroplane to no more than 80 per cent of maximum gross weight for an additional margin. In other words, set some extremely conservative limits to start, then actually use them. That suggests the fourth question. How do you use personal limits? A personal limit is useless if you disregard it when it becomes inconvenient. For example, you may decide you do not accept the risk of flying single-pilot at night even if you are rated to do so. If that’s your decision, don’t say ‘I don’t fly at night, but if I get delayed and the sky’s clear I’ll fly home tonight.’ (A student of mine told me that recently, and we had this talk.) You chose to write that ‘daytime only’ minimum into your personal operating specifications for a valid reason, so now you must stick with it. That brings up a second point: you need to write your personal limits down someplace where you can find them when planning and making a flight. It’s far harder to violate your personal limits if they’re in a book you wrote, in a place you will see when time comes to make a go/divert/no-go decision. 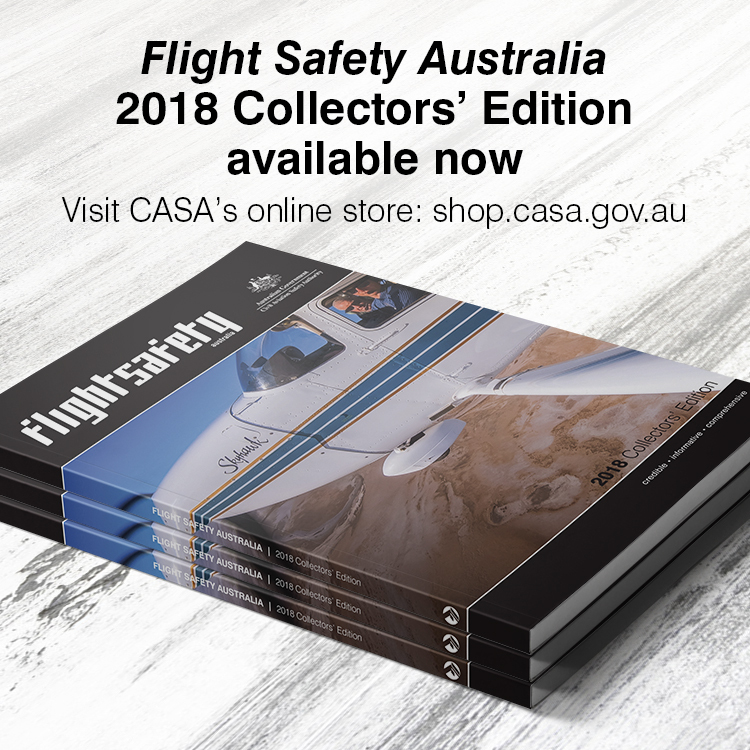 The US Federal Aviation Administration has a handy guide that includes a suggested format for your personal limits values in a free download. You might design a format that is easier to use or makes more sense for you. The document containing your personal limits becomes a written description of your personal envelope—your safety comfort zone as it exists today. Before every flight, quickly reference your limits and ensure than none of the actual or forecast conditions takes you or your aeroplane outside your personal envelope. As your flight progresses make more crosschecks and go/no-go decisions. Before beginning descent, make yet another comparison between actual conditions and the edges of your envelope. If at any point you find you’re headed outside your personal envelope, alter any details you can to keep you in the envelope (reduce power or re-lean to arrive with fuel within your limits, choose another runway with less of a crosswind, etc.). If you can’t remain within your envelope by changing the variables, don’t take-off or, if already in flight, change your route, pick another altitude, divert to another airport, or otherwise alter your flight to stay within your envelope while you get the aeroplane safely on the ground (this is the ‘out’ you’re always supposed to leave yourself, quantified). Share your written personal envelope with family and frequent passengers. Let them know the conditions you find acceptable for flight, and those you do not. Most passengers and family members have no idea about your need to make decisions about the weather, the aeroplane or pilot fatigue management. Yet they are the ones most likely to put undue pressure on you, consciously or not, to make a trip when conditions are not up to your standards. With a little education they’ll be telling you when you should land early or stay over one more night before flying home—taking away some of the most powerful stress that affects pilot decision making. Fly to remain within your personal envelope. Deliberately train to expand your personal envelope. A pro golfer doesn’t try a new style of grip during a high-stakes tournament. He practices first, a lot, using a coach to help critique his performance and the results until he can use the new style in an actual contest. A professional musician doesn’t play a composition for the first time in a command-performance concert hall. She practices, over and over and over, often visiting with a master to get her input, until her expression of the music becomes natural, and then puts it into her program. The stakes are a lot higher for you and your passengers if you go beyond your personal envelope without simulating and practicing doing so again and again, under controlled conditions. I frequently get calls from pilots asking how to perform a short field/obstacle take-off for an upcoming trip. I review the technique, but then I suggest they practice it first on a long runway with no obstacles at an aeroplane weight and density altitude similar to the short field destination, with a flight instructor or another experienced pilot along to evaluate their execution of that technique and the performance that results. Only when they can consistently take0off in the required distance with a 50 per cent margin for error, with the aeroplane loaded as it will be for the actual trip, are they ready to expand their envelope to including being able to fly into their desired destination. A pilot wanting to increase his/her personal limit for crosswind component should not simply try to take-off and land in a higher crosswind. If the stronger wind is beyond their ability they won’t know until they lose directional control on the runway. Instead, that pilot should engage a flight instructor more expert in crosswinds in that aeroplane type, and gradually build up to (and beyond) the new limit the pilot wishes to enjoy. For instance, on a day the wind is blowing steadily plot out a trip using runways that have progressively higher crosswind components. Beginning with a runway at home base that is within current personal limits, make a few practice take-offs and landings. Move to another runway (at the same aerodrome or another) with a slightly higher crosswind and repeat the practice. Fly to another and practice with an even stronger crosswind. Fly to the point the pilot begins to feel uncomfortable (while remaining within the instructor’s envelope). Then, look at the crosswind component on the runway used before the one where the pilot is uncomfortable. Use that figure as your new personal limit. One vital point: You can expand your personal envelope by deliberate practice under controlled conditions. Once you adopt a new limit, however, your skills begin to atrophy unless you continue to practice the level of performance you attained to earn that new limit. 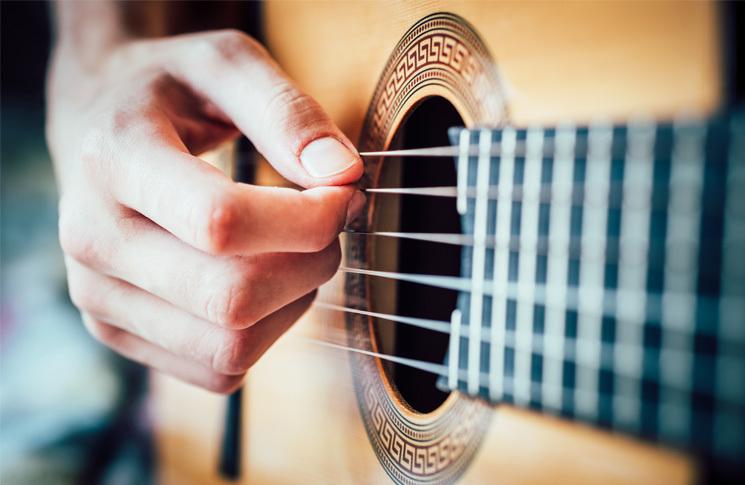 Six months or so after you build up to a new level, if you’ve not maintained that sharper skill with practice it will be as if you never attained it at all. 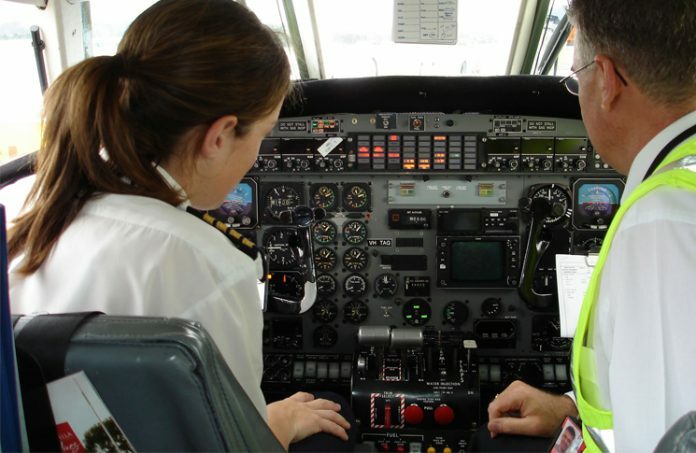 That’s why many pilots need to study and practice to be able to pass a flight review, when they were able to perform to certificate standards on their last review or check ride—skills erode. So how do you safely expand your personal envelope—gain comfort with better performance and utility—without exposing yourself or your passengers to undue risk? Know and document your current personal envelope. Fly to remain within your personal envelope. Deliberately train to expand your personal envelope in a controlled manner. Adjust your personal limits toward greater conservatism as time erodes the effects of your training. Never intentionally fly outside the conditions in which you feel you can confidently determine the safe outcome. Always fly within an established and ever-changing personal envelope. Confession regarding limitation of pilot ability is utmost. When a pilot knows to what level he can under take mission. More so, if he feels that he is to get some training with instructor or want to refresh some flying procedures. He should be asking and also avoid making ego issues. Confession is much better than collision I guess. My main concern flying is engine failure …even so, I am reluctant to practice solo as I have seen several aircraft crash whilst doing forced landing practice. I usually wait for my BFR. and hope it won’t happen.